This lady was expecting twins and I was booked as her Baby Shower surprise. She asked for ideas based on the amazing trees and monkeys she and her husband had seen whilst travelling abroad. 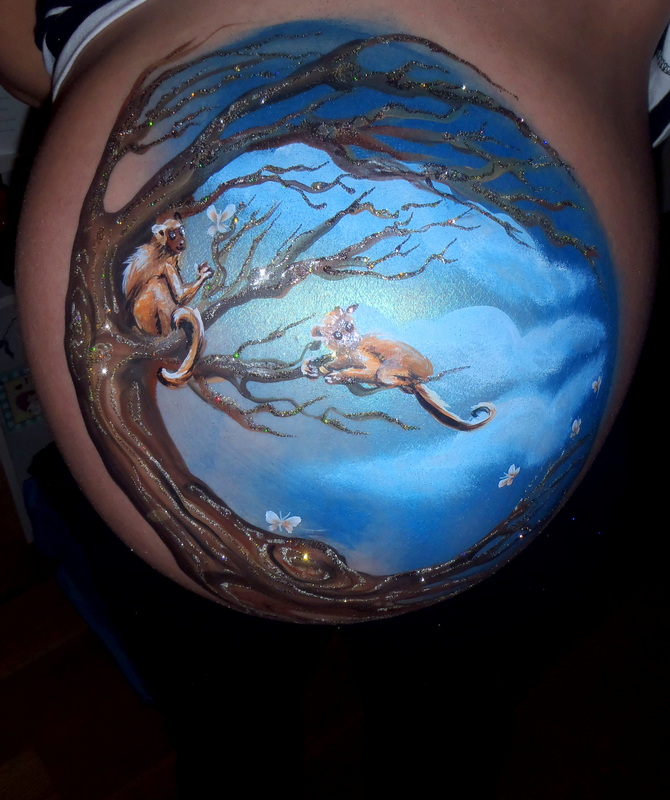 Can I book a bump painting please?